I'm really sort of boyish so seldom will you see me in a salon or spa. But when you've been working so hard for the past few weeks and you know you need to de-stress to keep your emotional sanity, that's when I usually seek refuge in an oasis called a spa. It's my antidote to stress and exhaustion. Pampering myself keeps me calm. 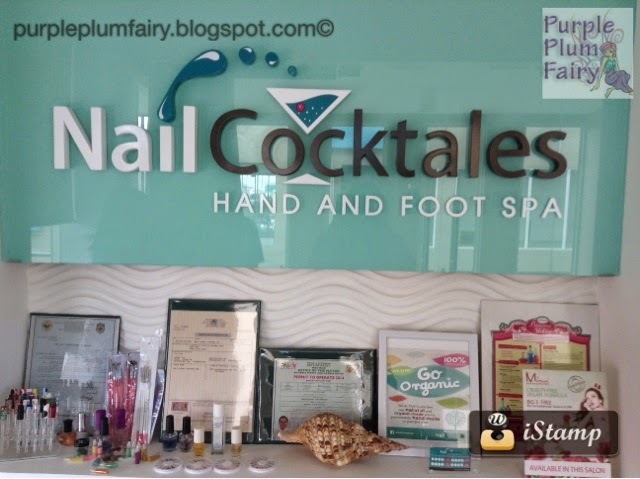 Last week, I've had the chance to visit Nailcocktales Hand and Foot Spa at the Blue Bay Walk in Macapagal Boulevard (just a few blocks away from the SM Mall of Asia). I've been yearning to give those tired feet of mine a relaxing and pleasurable break. 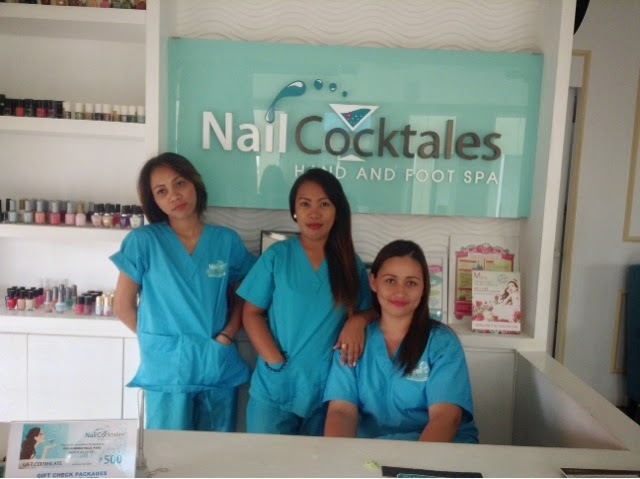 A known provider of quality nail treatments and hand + foot massages, Nailcocktales also offer cosmopolitan drinks, a selection of wines, rums, sodas and other beverages you fancy. Finding Nailcocktales Hand and Foot Spa in its Blue Bay Walk branch is a bit tricky. For one, you need to pass by a few establishments and buildings before you'll be able to find their signage. The sad part is that these buildings almost looks all the same, both in color and structures so you really have to memorize them and be keen with details in order to find it. Located on the second floor, Nailcocktales Hand and Foot Spa had that cozy ambiance that'll make one feel special. Relaxing on their emerald colored princess chair, it felt a lot better than a typical Lazy Boy chair because the chair had that velvety feel. The said chair alone seemed to alleviate my discomfort on my back. 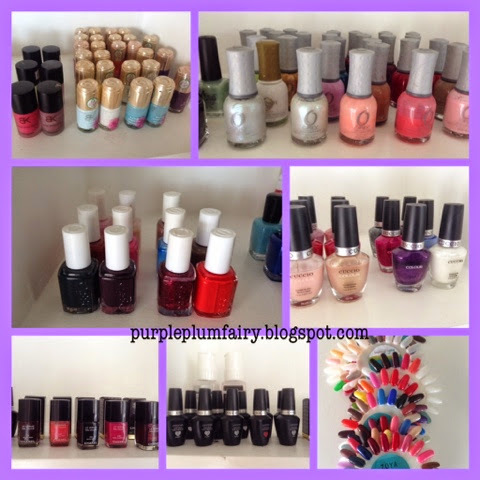 I was surprised to see a wide variety of nail polish colors and brands. From the basic colors, pastel ones, to changing colors, branded ones to organic polish--they seemed to have it all! What I love about their nail polish is that they are Toulene free and Formaldehyde-free too. Reading the words "organic" somehow gives clients an assurance of safety and not to mention very trendy too. I was surprised to see a lot of options for their services. 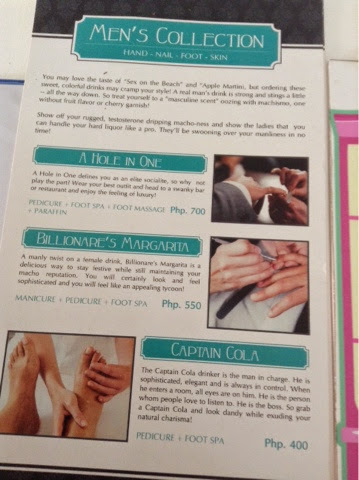 Eventually, I've settled for the Yummylicious package (worth Php700) which included mani + pedi + foot spa. Nailcocktales has a wide variety of different brands and colors of nail polish. As I've had expected, I had chosen a shade near my all-time favorite color (in what else but purple!) 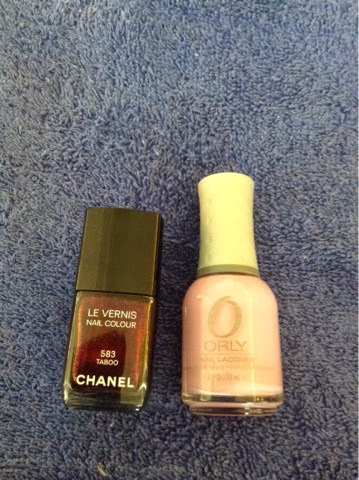 called Chanel Nail in Taboo for my toes and Orly Nail polish in Lollipop. My treatment started with a warm foot soak, followed by a brief foot massage before my toes were scrubbed with a minty and fruity scent then wrapped in plastic. My feet were soaked in warm water first. A brief massage during the foot spa. My toes are being wrapped in plastic after it was scrubbed. 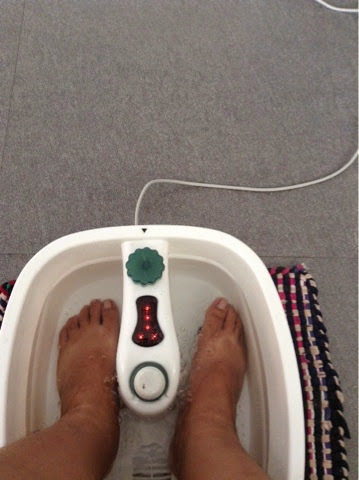 I had enjoyed a superb hands and feet blowout at Nailcocktales Hand and Foot Spa. I like getting my nails done just the way I like it--square in shape and without the hassle of the usual manicure boo-boos. With Nailcocktales, you can be assured that your nails are done by professionals so there's no room for toenail ingrown and other things you usually abhor with nail services. 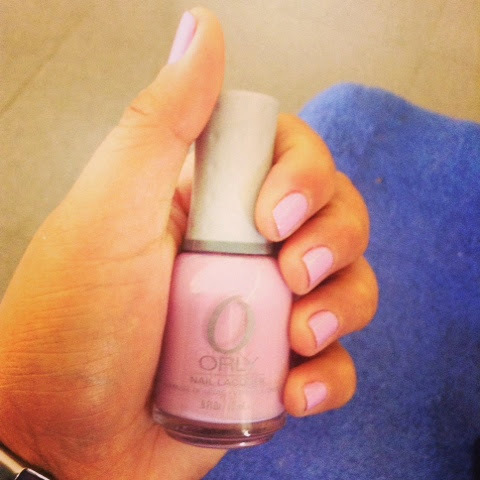 Here are my nails in Orly Lollipop shade. 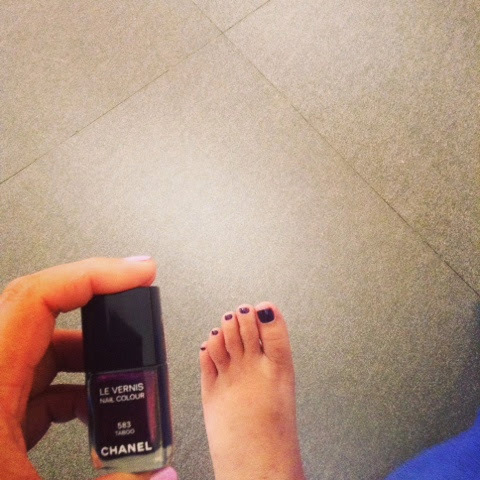 My toes in Chanel Taboo shade. These are my choice colors for my hands and feet. For metrosexuals, Nailcocktales also offer services specifically for them. 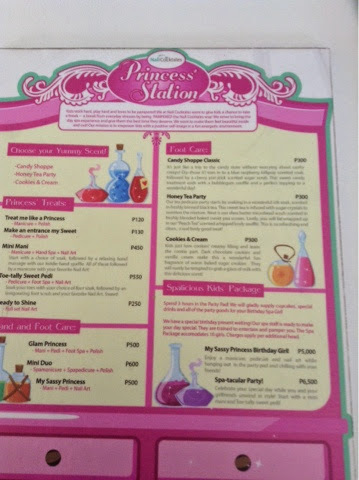 While Mommies will also be glad to know that their little girls need not to go far because Nailcocktales Hand and Foot Spa also caters to kikay kids. Services are reasonably priced--you'll be getting the services that you've paid for. So you'll be coming out of Nailcocktales Hand and Foot Spa with a smile, feeling happier and definitely more relaxed just as I did! Fellow blogger Icah smiles before my camera as the attendant massages her foot. The ladies of Nailcocktales Hand and Foot Spa gamely emote for fun's sake at my camera. Special thanks to Kathy Kenny Ngo.